A large group of walkers were heading over towards Kinder Gates via Crowden Head when a female member suffered a suspected fractured ankle. 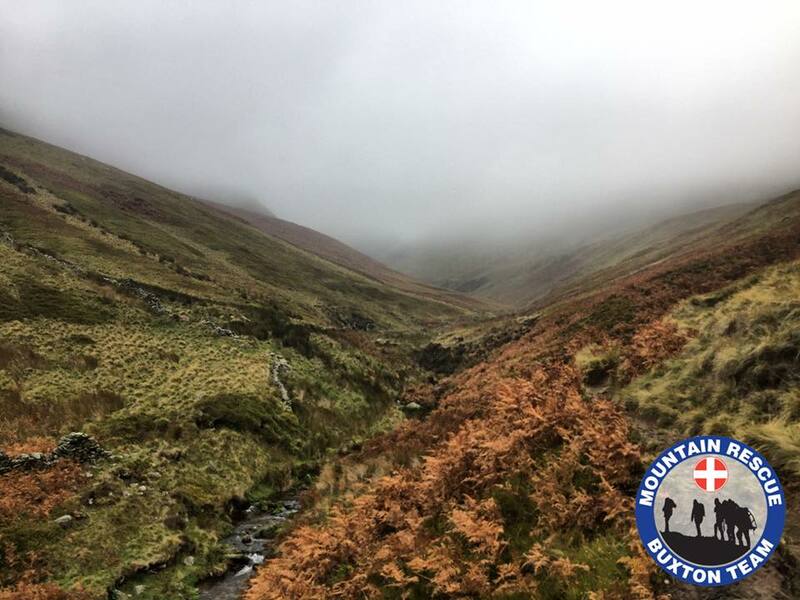 Kinder Mountain Rescue Team received the initial call and due to the weather conditions on the plateau requested the assistance from Buxton Mountain Rescue Team. A helicopter from the Maritime and Coastguard Agency was also called. 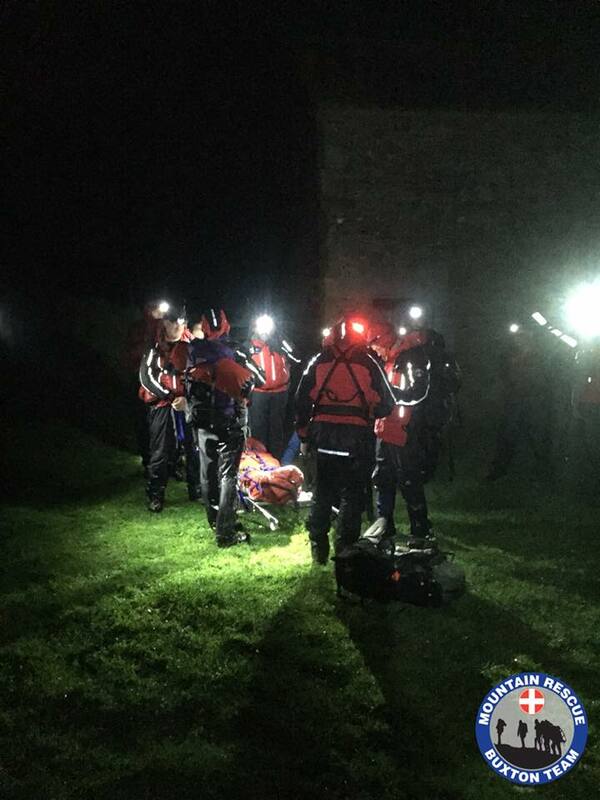 A passing male who had started the Pennine Way provided assistance until team members arrived, placing the casualty into a tent to protect from the increasing wind and rain. 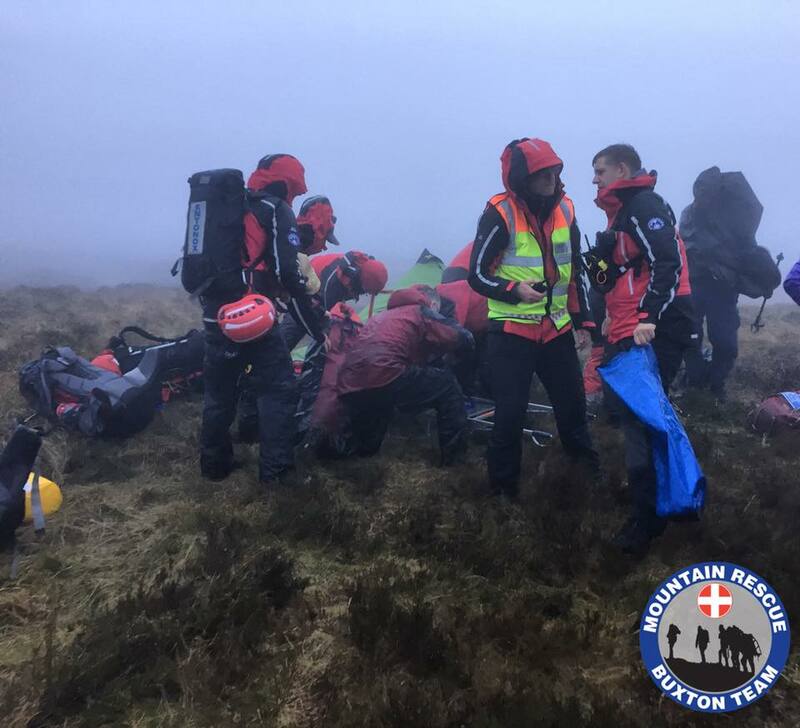 The helicopter landed in Edale to transport Buxton team members close to the Edge Path, but due to weather conditions and poor visibility had to drop the team members in the lower reaches of Crowden Clough. The team members then ascended to join other team members who were proceeding along Crowden Clough to Crowden Head. Due to the onset of the weather a long carry off was required and members from Edale Mountain Rescue Team were called to assist. The casualty was packaged onto a Kinder MRT stretcher and evacuated via the Edge Path above Crowden Clough, whilst 11 members of the group were escorted by two Buxton team members to awaiting team vehicles in Upper Booth. In failing light all three teams worked together to transport the casualty to an awaiting East Midlands Ambulance waiting at Upper Booth. All team members headed home at just before 22.00 after a very long and successful multi-team response.